Being an entrepreneur opens you to the world of financial freedom and independence. The PIE Wealth System makes being your own boss purposely uncomplicated - and it can quickly earn you a life-changing income. You don’t need special skills or training to become an Independent Business Owner in PIE 24/7 and start earning immediately! PIE 24/7 can be a viable alternative to a traditional job and can quickly surpass most hourly-paying positions. The PIE Wealth System can make your 40-hour work-week a thing of the past. PIE uses a Multi-Level Marketing format to help you make money. That means your business can get to profitability fast. As an Active IBO you get paid on your own sales, your team sales and on all renewal sales in your business. PIE’s incredible affiliate system makes it possible to receive an income from tens of thousands of people around the world that you don’t know and have never met. Check out 8204.piebiz.com for details. With PIE 24/7, you’ve got 3 distinct and powerful ways to earn an income from your sales activity and, more importantly, from the sales activity of your team. There are NO LIMITS placed on your 3-Ways to earn. Important Note: Your earnings are paid weekly to ensure you have regular access to your money. PIE Sales Volume (PSV) Commissions are based on Personal Sales and earns you25%or$10onevery40inPersonal Sales. There are no limits to the amount you can earn inPIE Commissions. Make more sales, make more money it’s as simple as that. For example: as an IBO, if you had 10 personal $40 product sales and each amounted to 40 in PSV you would earn $400 for that pay cycle. Additionally as an IBO, you will earn PSV RENEWAL commissions each and every time one of your sales renews! And here’s the really great news – EVERYBODY pays the same price for his or her product purchase! No more losing friends because they found out you were selling them the products at retail so you can make a profit, only to have your friend find out later they could’ve got the same products at wholesale. Never lose another friend because you need to make money. IBO’s, Active IBO’s and Qualified Active IBO’s can earn PSV Commissions. 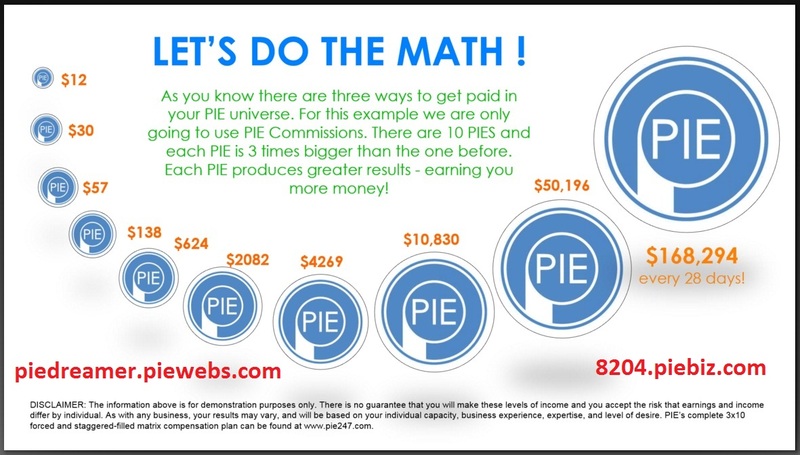 You earn between 10% and 2.5% on PIE Commissions and you have a total of 88,572 potential sales centers. There are no limits to the amount you can earn in PIE Commissions from each sales center. You earn PIE Commissions from your personal sales activity, and – most importantly – from the sales activity of all the Active IBO’s of your team down 10 levels deep. As your team grows you could be earning from the sales volumes of tens of thousands of people that you don’t even know. 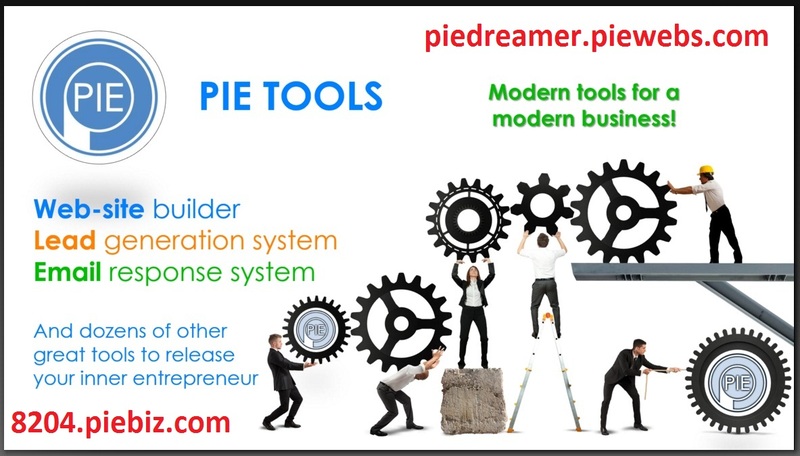 You earn PIE Commissions on all new sales and all renewal sales that occur in your team. This can, over time, create a fantastic life changing residual income. PIE Commissions are the engine to your earnings, and as you and your team sales grow they can amount to more than $165,000 every 28 days in residual income with just 20 PSV per PIEcenter. 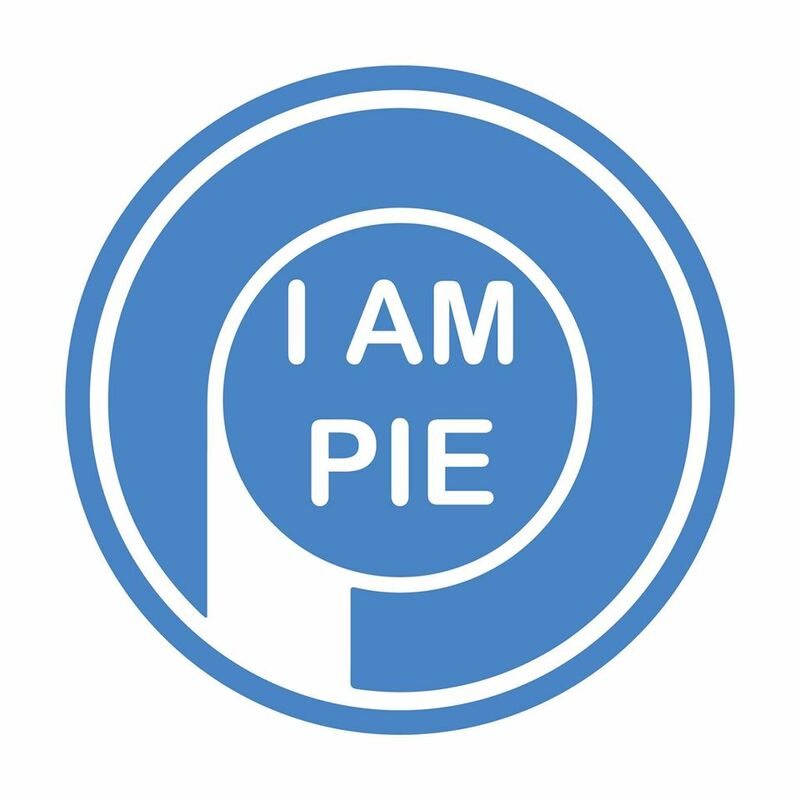 PIE Bonuses are what sets PIE 24/7 apart from all other income opportunities, PIE Bonuses are derived from 15% of the total company wide PIE Sales. As a Qualified IBO you earn PIE Bonuses from IBO sales within your Ten PIE levels but more importantly you can also earn PIE Bonuses on sales outside of your Ten PIE Levels. There are no limits to the amount you can earn in PIE Bonuses. Once qualified PIE Bonuses can multiply your overall earnings by a factor of 2, 5,10 times or more. Imagine you can get paid more on the same sales just by helping your team become more successful. PIE Bonuses are incredibly rewarding and everyone has an equal opportunity to earn them. Qualified IBO’s can earnPIEBonuses. As an Active IBO there are no earnings caps on ANY of ways the to get paid and collectively the PIE Success System has a Sales Volume payout of up to 85%. No commissions are paid for the recruiting of new IBO’s. Commissions are only paid on the sale of products. 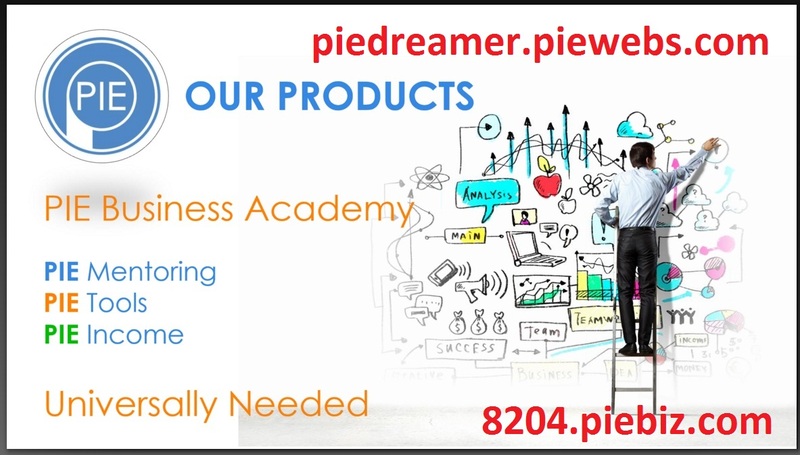 A product purchase is not required to become a PIE 24/7 Independent Business Owner. PIE 24/7 makes NO GUARANTEES of income and results depend solely on the efforts of each individual Independent Business Owner. This document is designed to offer an overview of the benefits offered by PIE 24/7 to those individual Independent Business Owners who put in the work necessary to build a successful PIE 24/7 business.